The ProLite® Neoprene Pull-On Thumb Support provides warmth and uniform compression to aching or injured thumbs and wrists. Compression helps reduce pain, inflammation, and swelling while providing support to soft tissues. Comfortable, contoured design allows for full use of the thumb. 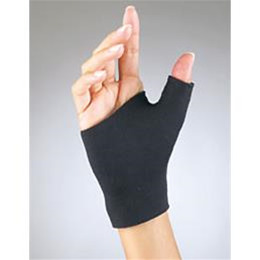 Neoprene provides full thumb coverage and applies soothing warmth to all the joints of the thumb.